This entry was posted in rant, software and tagged bloat, browser, google chrome, mozilla firefox, windows by nanaya. Bookmark the permalink. Get more ram and maybe you won’t need to care. 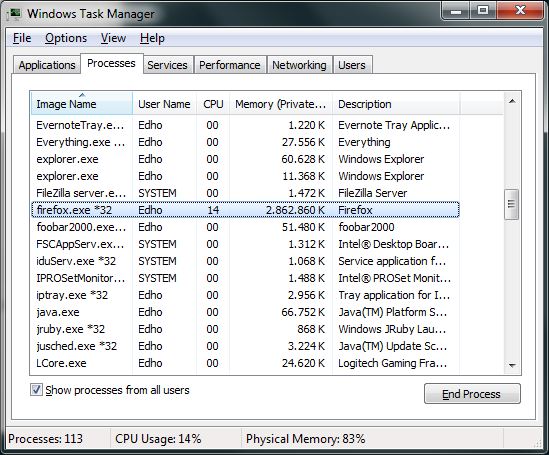 Also chome is better about memory usage, despite it having like 30 processes. I don’t have any more ram slot on my mobo (and 8 GiB RAM didn’t make any economical sense at the time I bought the system).